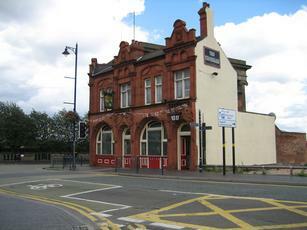 Somewhat isolated pub that will be very handy for the HS2 terminus, when it opens. Was closed and derelict, but has been restored to its Victorian splendour. We believe that the interior layout has been simplified from those days, but it is still a bit confusing. There was one room which I couldn’t work out how to get to. A range of 7 or 8 real ales available – mainly from lesser known breweries, but I plumped for the Hook Norton Double Stout – rather nice ! Also, some continental lagers available. Food was being served, but I didn’t look at the menu, so can’t comment further. Was a bitterly cold and wet afternoon when we visited, but still there were rooms where the radiators weren’t working. Also, U felt it lacked a bit of atmosphere, though my friend assuers me it’s often packed, so I expect that’s all it’s really lacking. 7/10 – worth passing a few pubs to visit – but not an Antarctic trek ! Quietist Wednesday afternoon, 3:30. No pork pies! A good number of ales and ciders on. BUT when I asked for a traditional beer that was not porter (2 of those) or pale citrus, about 5 of those, there was not one available. This is a crying shame. That said, the beer I had, Great Heck Treasure was almost normal! Clear, good flavour albeit a bit too citrus. Sunday roast was excellent, range of beers was good once again. Having the new Eastside City Park next to it makes it even more accessible from the city centre. Recommended. 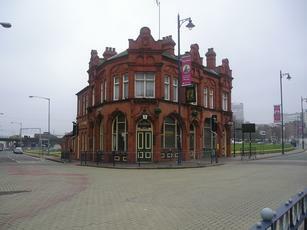 A long-derelict pub on the edge of Digbeth, opposite the enigmatic bulk of Curzon Street station and near Millennium Point As well as Ciry University. 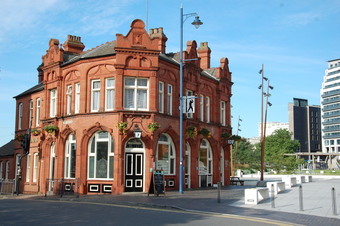 Reopened recently with a sensitive hand to the revamped decor - colourful Victorian tiling and red ceilings. Several beers and ciders on and pork pies for £1.50. Several little rooms give the feel of the better type of 19th-century boozer.